If your looking to enhance your vehicles performance then check out our custom workshop where we can supply and fit a range of mods from sports suspension to high flow exhausts and sports seats to induction kits. From full re sprays to colour coding door handles and mirrors ARC can offer many custom paint options. 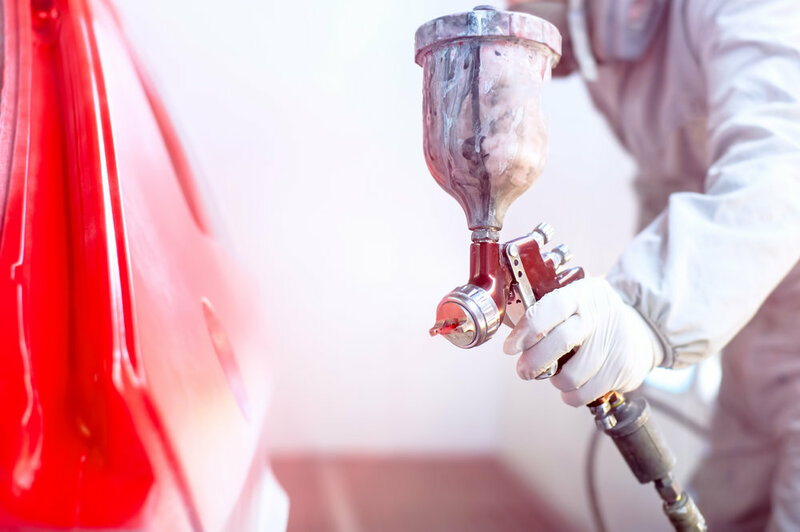 Our team of skilled paint technicians and state of the art gas fired spray booth are ready for any task no matter how big or small. Unfortunately the coating applied to headlights doesnt last quite as long as you would hope. The sun is mostly responsable for breaking this material down and in some cases completely removing it all together. As headlights can be very expensive to replace restoring them is by far the better option. Here at ARC we can remove whats left of the coating and re-apply a more durable UV resistant coating not only enhancing the look of the headlight but also improving visability at night. Almost every vehicle built in recent years has a vast catologue of optional extras including aero packs. These extras are generally available from the manufactures many years down the line. If you're looking to update or enhance your vehicles looks and aero pack might be a good place to start. ARC can supply, paint and fit all aero products from a simple boot spoiler to full body kits.